"Hot foot": a condition affecting one or both feet, otherwise known as Metatarsalgia, where the nerves and joint tissues close to the ball of your foot are repeatedly squeezed and aggravated by the long metatarsal bones which run down through the feet to the toes, leading to a burning sensation in the base of the foot. Hot foot can be debilitating, excruciatingly painful and can turn a long ride into a miserable experience. It's a complex and often misunderstood condition both in terms of what causes it and what should be done to prevent it. Unfortunately, there is no one solution for hot foot that works for everyone. It's a case of making changes one at a time and trying to first identify and then eliminate the cause(s). Below are some hints that may help you address the causes or alleviate the symptoms. Feet that are hot tend to swell, causing pressure inside the shoe and adding to the squeezing of the nerves between the metatarsals. Wearing cooling socks or ensuring that shoes have adequate ventilation can help with this. Sometimes pouring ice water on feet on a hot day can have a temporary cooling effect, but this does not really address the true cause of the problem. 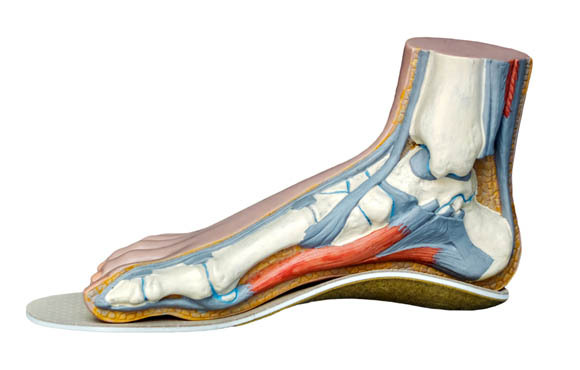 This is a contentious topic as there has been much debate whether a stiffer sole contributes to the pressure on the metatarsal nerves and joint tissue. A study in 2003 found carbon-soled shoes resulted in an average increase in forefoot pressure of 18 percent over more traditional plastic shoes. This makes sense. For example, if the sole is stiff, it won't flex under foot pressure and spread the load to other parts of the foot (imagine the difference between standing on concrete versus standing on a soft mat). However, some people swear that stiffer soles have solved their hot foot issues. My opinion is this: If the pressure is across the entire ball of the foot then a stiffer sole probably won't help much and perhaps the sufferer should try a more flexible sole which, although less efficient, will flex a little more and spread the load over more of the base of the foot rather than just the ball. However if the pain is centered on a 'hot spot' then this could suggest that a stiffer sole may help with such pain, which could be the result of the pedal causing pressure in one localized spot. Cleats that are positioned too far forward could be the issue. Sometimes moving them back a fraction can help alleviate pressure, even if they were originally in the correct position. 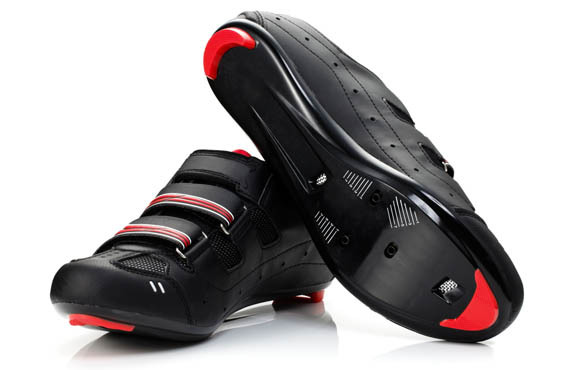 The advice of a professional bike fitter is highly advisable when moving cleats back or forward as saddle height should also be adjusted and cleat positioning can affect other biomechanical issues. 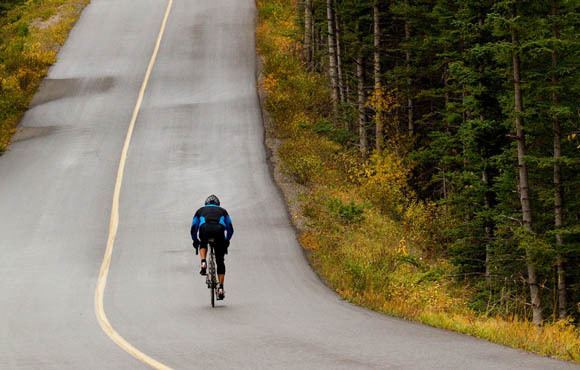 The longer the ride, the more nerves and joint tissue have the potential to be aggravated. Unless you're racing, take a break, sit down and let your feet have a well deserved rest if you notice symptoms flare up. A lot of climbing and/or low cadence in big gears contributes to the pressure applied to the pedals on each downward pedal movement. 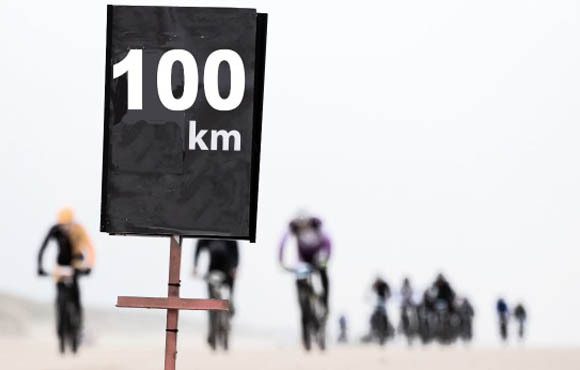 If you can increase cadence and therefore reduce torque, but keep the same power, this can make a difference. Make use of the descents to wiggle toes for a while and try to spread them out and give the nerves a bit of a break from the constant space invasion from your metatarsal bones. 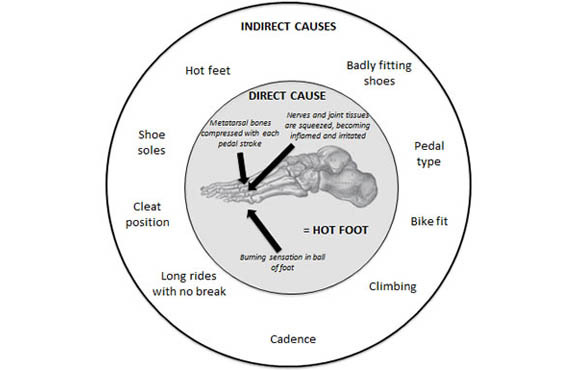 A professional bike fitter will see hot foot issues regularly and could identify other bike positioning issues that play a part in hot foot symptoms. 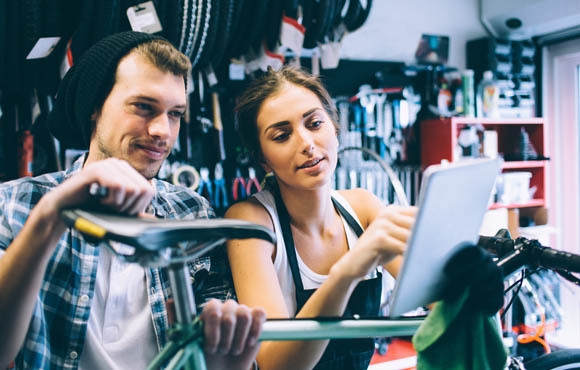 A professional bike fit can seem costly but compared to the money spent on numerous sets of shoes, pedals and wasted money on miserable cycling events, it's an investment that is well worth making. 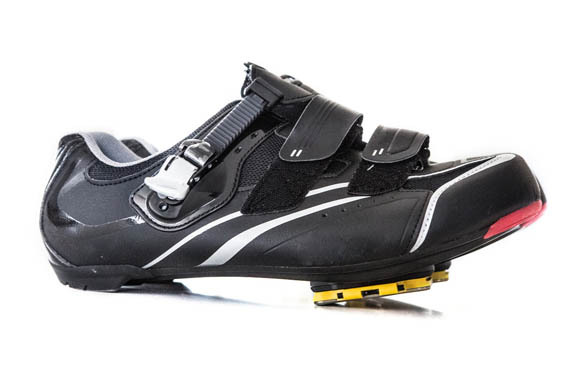 As mentioned above, pedals with a smaller load bearing area could contribute to localized '"hot spots," particularly if the sole of the shoe doesn't spread the load across the foot. However, pedals are expensive to replace when you're only trying to find the source of the pain. 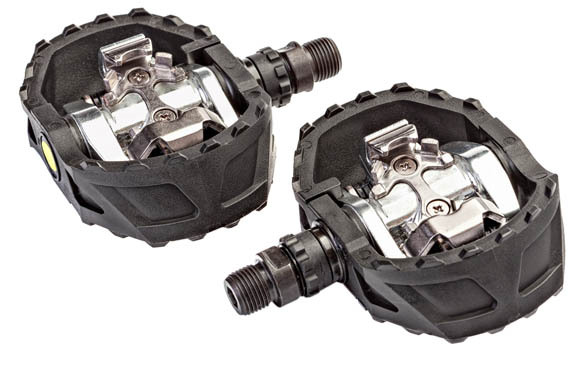 Instead of replacing, it's worth speaking to your local bike shop to see if they have any test pedals and cleats that you can try before making a purchase. Having a good relationship with your LBS can pay dividends here! Shoes that are too small or narrow will obviously cause foot cramping and squeezing. 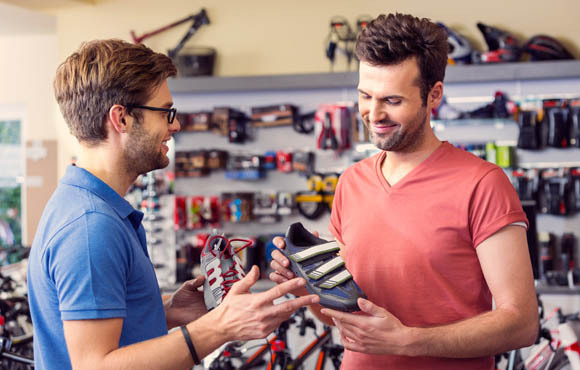 Luckily, there are a range of wider fitting shoes available that can be heat molded to your feet for greater efficiency while still allowing room for toe movement. Insoles with a metatarsal button or pad that is positioned at the head of the metatarsal bones and helps to keep them spread out rather than compressing inwards can be effective in hot foot treatment. 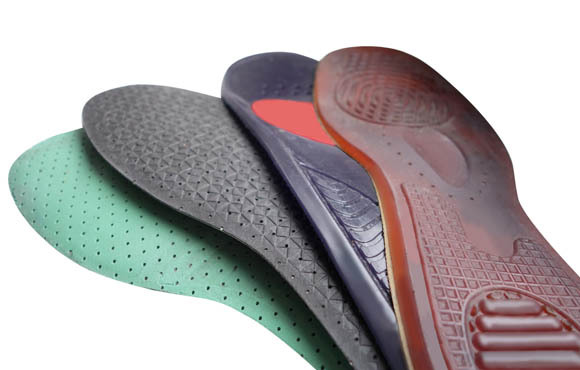 Making sure you have corrective insoles if required can address the problem of inadequate arch support, which can also be a causative factor that leads to pain.